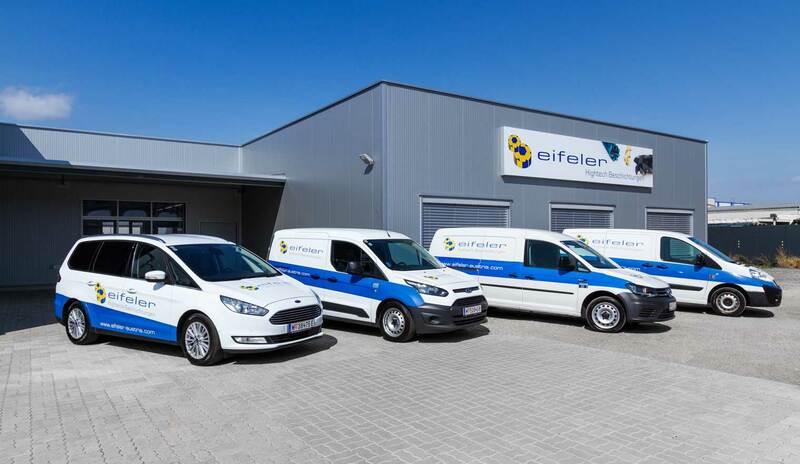 We have introduced a comfortable pick-up service for our customers: Along three basic routes, we operate a pick-up and delivery service using our own delivery vehicles – fast, safe and absolutely reliable! Additional benefits: Depending on the level of urgency and customer demand, the routes can be adapted flexibly and, in special cases, express delivery is available. Spare yourself the packing (impact-reducing padding, outer packing that is designed for transport and re-useable etc.) necessary for shipping via parcel services or forwarders and reduce the stress on the environment. Contact us to receive further information. When it comes to transport and handling, we offer our customers maximum flexibility: We gladly incorporate handling units provided into our system. Provision of dedicated tool carrier systems is available, too. Furthermore, we can provide transport boxes of every size for flexible adaptation to all kinds of batch sizes. Our system ensures reproducibility, simple identification and traceability. Protection against damages and contamination is our number one priority. We own state-of-the-art coating units each offering different capacities thanks to differ-ent chamber sizes. Using flexible planning methods thus made possible, we can coat batches and tools of different sizes at highest levels of quality. Thanks to our responsiveness and flexibility, made possible by demand-oriented processing of different batch sizes, we are able to offer minimal delivery times. We process standard orders within 48 hours. Customers who need or request guarantees can optionally get 48h service. Depending on order volume and product characteristics, 24h service is available for special cases. We offer comfortable solutions for our customers – even for very special requirements that go beyond our proprietary standard coating processes. Since polished surfaces are especially well suited to being coated (in case of metal forming tools, for instance, roughness of RZ < 2µm is recommended), we gladly offer additional external surface polishing, if and when required. Your benefit: All services are being organised comfortably by one central one-stop-shop!